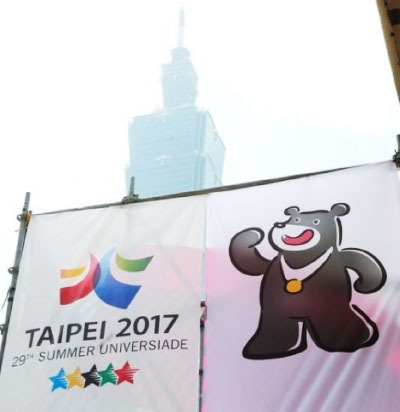 TAIPEI — The official schedule for baseball at the 22-sport Summer Universiade Taipei 2017 has been released. 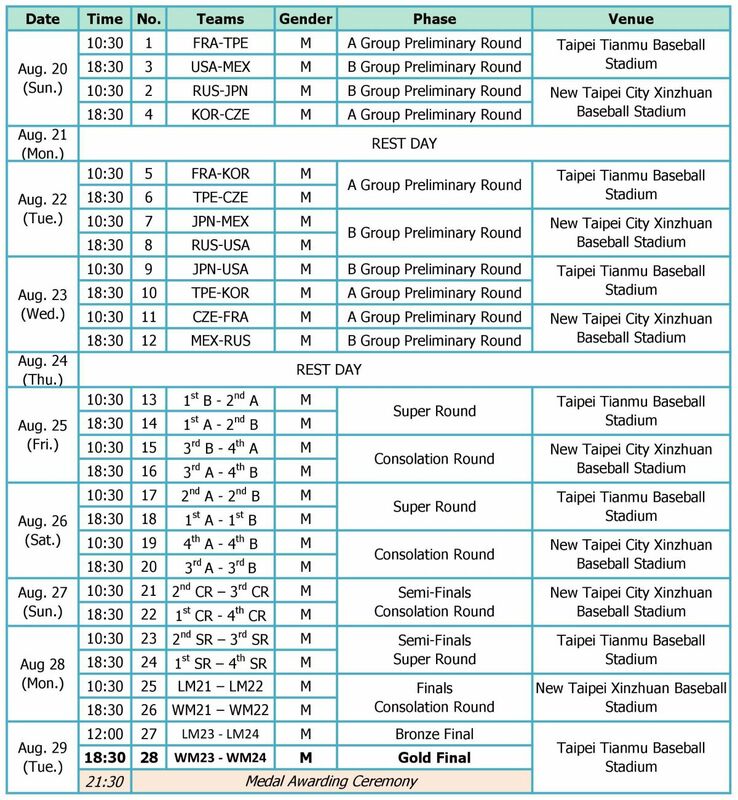 The eight-nation international baseball event, sanctioned by the World Baseball Softball Confederation (WBSC), will be contested across 28 games from 20-29 August in Taipei, Taiwan. The University (student) National Baseball Teams of Chinese Taipei, Czech Republic, France, Japan, Korea, Mexico, Russia and United States will compete for the International University Sports Federation (FISU) crown. Baseball is the most popular spectator sport in the host nation, and games will take place at Tianmu Baseball Stadium and New Taipei City Xinzhuan Baseball Stadium. At the last Summer Universiade in 2015, Chinese Taipei and Japan were both awarded gold medals due to weather conditions that prevented the final game from being played, while Korea defeated the U.S., 11-4, for the bronze.